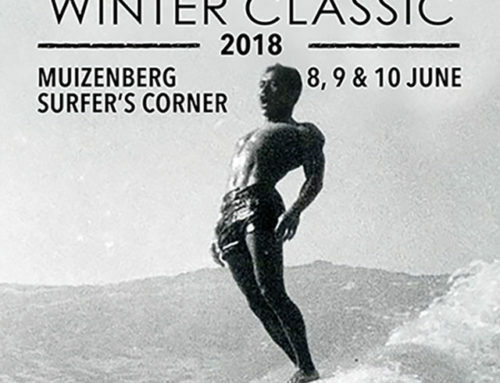 ​​Small waves and high scores on Day Two of the 2018 Tigers Milk Winter Classic at Muizenberg Corner. 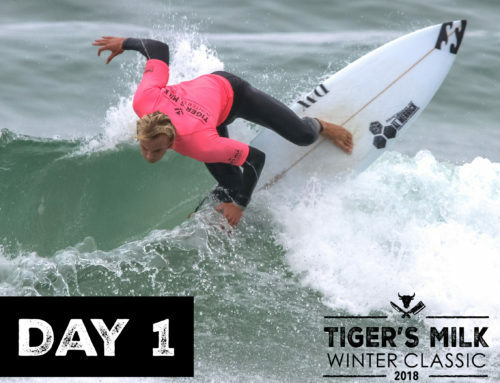 Early morning marginal Muizenberg surf and mid-winter Western Cape rain did not stop contestants from posting some top class scores on Day Two of competition at the 2018 Tigers Milk Winter Classic. The first contestant to show her international quality was 2017 South African Team member and professional surfer Tanika Hoffman who posted a 16.51 heat score in some of the smallest waves of the day. 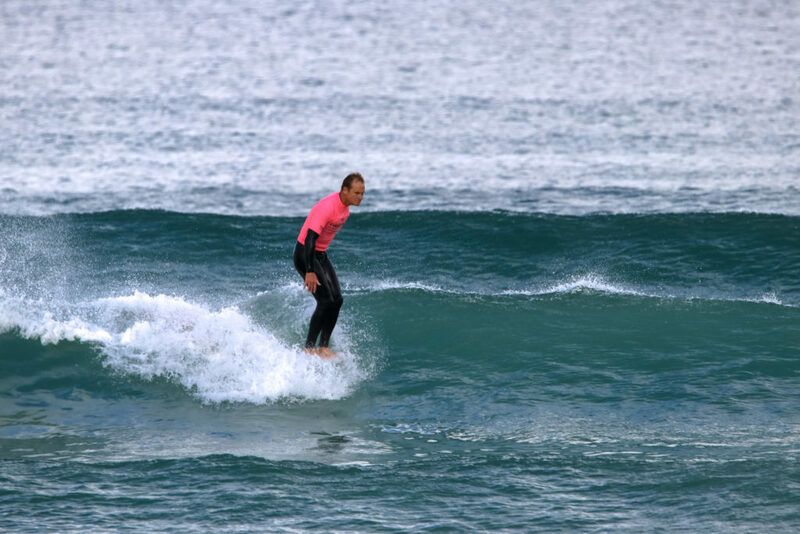 Under 40 Division longboarder Chris Heath used every longboard trick in the book to score 16.38 points, the highest in this divison on the day while Dylan Swindale posted a 16, 15 heat score in his first round Under 23 Longboard heat. Later in the day three Longboarders in the Open Men’s division showed their class by posting excellent heat scores in their first round heats. Defending Tigers Milk Champion and former two time World Longboard Champion Matthew Moir racked up 16, 75 points thanks to a huge 9, 25 ride on one wave while Michael Hill and Tom King went toe to toe in their heat, eventually scoring 17, 33 points and 17, 23 points respectively. But the champagne was reserved for defending Tigers Milk Women’s Champion and former World Longboard Champion Simone Robb whose 18, 75 points out of a possible 20 was a remarkable feat in the difficult conditions. Her counting waves were a 9, 40 and a 9, 33, each out of a possible 10, giving her bragging rights on not only the highest heat score but also the two highest scoring waves in the contest so far. The final day will start at 8am with the first of six semi-finals and will be followed by seven final. The Finals will get under way at approximately 12.30pm and end at approximately 3.30pm. All the heat scores will not only be available on www.liveheats.com/surfingsouthafrica but live action in the water, with commentary, will also be streamed on www.streamit360.tvthroughout the day. Photos will be posted on www.surfingsouthafrica.co.za and on the Tigers Milk and Surfing SA social media platforms. In addition to contest surfing Tigers Milk and surfing South Africa will also be presenting an Outreach surfing initiative involving about 60 young surfers from 12 local projects that use surfing as a way to change young people’s lives. This will tag place at Surfers Corner from approximately 9am to 1pm. These young surfers will participate in an entry level tag team competition run by SSA Development Officer Danielle Powis. All of the participants in the Outreach initiative will receive a medal and an invite to Tigers Milk where the Outreach Prizegiving will take place. They will then all get to enjoy a burger, chips and coke, courtesy of Tigers Milk. 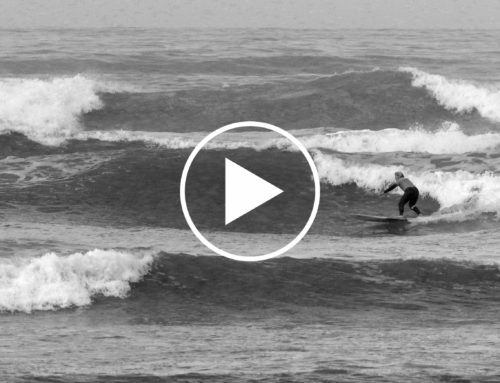 At about 4pm tomorrow, after the Main Event Award Ceremony, top South African longboarder Steven Sawyer will swop his wetsuit for a guitar and perform an hour or two of his unique brand of music at Tigers Milk. 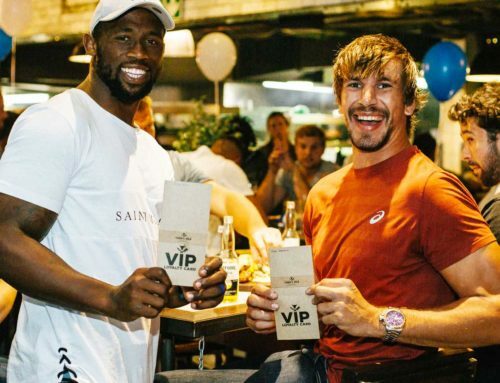 As an additional incentive to come down to Surfers Corner to watch some top class surfing Tigers Milk is offering a stepchild Burger and Coke for R90 throughout the day. 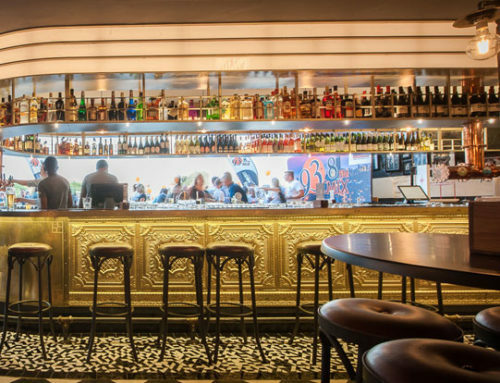 In addition you can get two Coronas for the price of one between 4pm and 7pm tomorrow and buying two Jagermeisters in Tigers Milk will put you in line to win a custom made surfboard while a Bacardi flavoured Mojito may win you an instant prize.